Manaslu Circuit Trek | Junket Nepal Pvt.Ltd. Mt. Manaslu is the eighth highest mountain in the world at the elevation of 8163 meters high from sea level. Name of Mt. 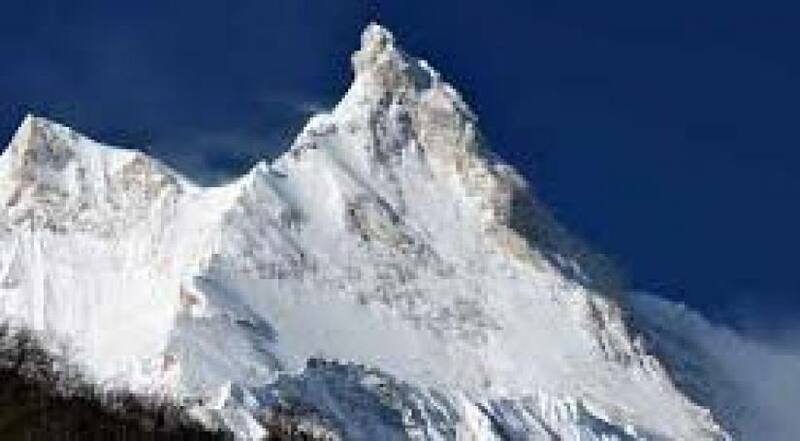 Manaslu derived from Sanskrit word which means “Mountain of Spirit”. Trekking to the entire circuit of Mt. 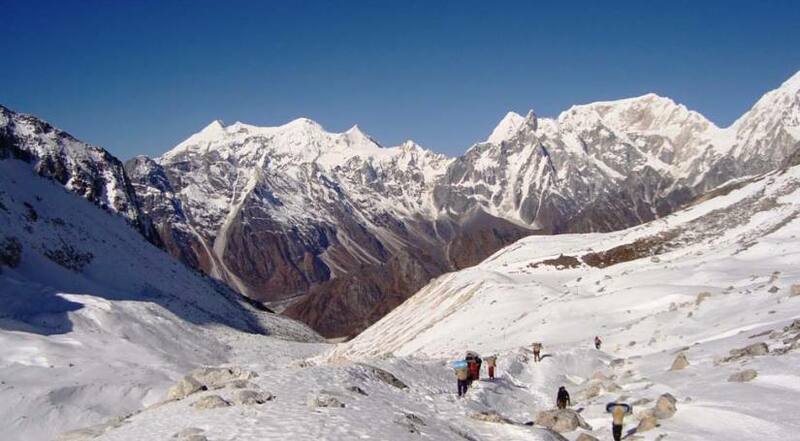 Manaslu, Manaslu Circuit Trek is an ideal trekking opportunity to have lifetime adventure experience including one of the adventurous Larkey La Pass at 5160 meters. The trek offers to have tantalizing views of Mt. Manaslu, Ganesh Himal and Annapurna Mountain Range. A professionally organized Manaslu Circuit Trek with Junket Nepal Pvt. Ltd embarks after completing a day sightseeing tour in Kathmandu. Leaving Kathmandu, we will have a day drive to Arughat Bazaar to get started the trek. At the beginning we follow the scenic and easy ascend trails; passing village settlements, agricultural farmlands, forests, Buddhist monasteries and chhortens. The trail begins by entering into the Manaslu Conservation Area Project and ends up via Annapurna Conservation Area Project so we have to be permitted for trekking permits of both Conservation Areas. Getting properly acclimation with few reserve days in our comfortable itinerary makes us to successfully cross adventurous Larkey La Pass then immediately descend to Bimtang. From the pass we will have close up views of Mt. Manaslu, Ganesh Himal and Annapurna Ranges. Manaslu Circuit Trek with Junket Nepal Pvt.Ltd. ends with a day drive from Syange to Kathmandu. Tea house trekking; Available in several popular trekking regions of Nepal. This type or trek generally operated by using tea house lodges for meals and accommodations during the entire trekking. Tea house lodges are not well sophisticated as hotels and resorts in cities but they provide simply the best services and facilities. Camping Trekking; Required to set up tented camps for the less beaten trekking regions where those tea house lodges are not available. During the camping trek, our crew team will carry all camping equipment’s, meals and essentials. National Park/Conservation Area Permits: Every trekking trail are joined with at least one national park or conservation area project where we have to issue permit and have to pay certain royalty for Conservation area project. For example; Annapurna Conservation Area Project required for Annapurna region trekking, Sanagmatha National Park permit required for Everest region trekking etc. Special Permits: It is compulsory for restricted area’s trekking in Nepal. Nepal government has listed some important trekking trails in their restricted area lists such as Upper Mustang, Upper Dolpo, Lower Dolpo, Manaslu Circuit, Makalu Circuit etc. such permits are need to be issued from department of immigration of Nepal. This permit’s royalty rates are generally higher than national park/conservation area fees and TIMS differ from season of trek and its duration. Please contact us for full extent of information about royalty lists for special permits. Our itinerary can be changed accordingly to your interest, duration and preference. If you want to do extra activities such as Mountain Flight, Jungle Safari, Sight Seeing, Jungle Safari, Peak Climbing, Rafting, Paragliding. We are ready to serve you. We are always happy to follow your suggestion accordingly.